Making your way in the world today takes .... wait a minute! 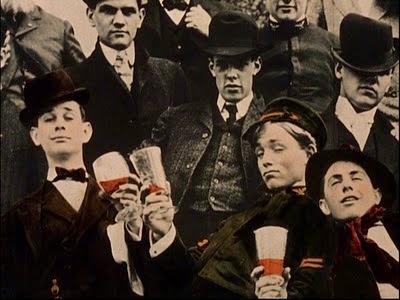 This post has nothing to do with Cheers! Every person of a certain age has had them. For our purposes I'll call them Boomer Moments, although they often go by another name that's far less savory to many of us over 60. A Boomer Moment is a moment in which you forget something you actually know as well as the back of your hand. For example, you may forget your cell number, the name of a favorite actor, or the name of the capital of Nepal, assuming you knew it was Kathmandu in the first place. I often forget the back of my hand too. I also forget names. This includes the names of people I've known for years as well as the names of people I've recently met. Between those two groups of people, I'm lucky if I can string together the first and last names of people I was married to. "Hello, Perry," shouted a cheerful fellow across the room at a social function I attended recently. "Hello .... why, hello .... you!" I called back, feigning recognition. The face was familiar but the name had managed to elude my brain, escape my skull, and get itself cleared for take off to parts unknown. "How ya doing, guy?" Mr. You said, now approaching me. "How are Brian and Brandon?" Terrific. This dude even knew the names of my children. Even if I could buy a vowel or two or three, I couldn't get his! "They're fine. And how's your family?" I inquired, asking the obvious reciprocal question. "You know I'm not married and have no children." I know he's not married and has no children? I didn't even know if he was air or gill breathing! "Perry!" shouts a guy from behind the crudite table. This fellow I've known for 25 years, been to his house, and even had the hots for his wife, un-acted upon of course. At least I think they were un-acted upon. But what the hell was his name? "Heyy, you!" I shot back , and over he bounded. "How's Brandon enjoying Johns Hopkins?" Mr. You No. 2 asked, warmly pumping my hand. Marvelous. Another nameless guy wholly familiar with my entire Facebook profile. OMG! They expected me to introduce them! Who's going to introduce me to each of them! "Well, guys, umm .... you two really .... I'd like to ......"
"You know, friends, why bother with names? As the Bard so wisely put it all those many years ago 'What's in a name. A rose by any other name would smell as sweet.'" "Isn't that just like you, Perry?" laughed Nameless Guy No. 1. "Yep, always forgetting names," chortled Nameless Guy No. 2. "Don't think Perry's ever gotten mine right in 25 years!" They really did know me! And I couldn't muster a single initial between the two of them. I hate me them Boomer Moments! You know, I tried to write a post on this subject once, got half way through it and forgot what the topic was. I told my wife about it and she said, "that's the problem with you men. The mind is the second thing to go." If you have a smart phone (Perry, I'm hoping) start taking pictures of these people and save the photo as their name. Maybe this will help with the people you often bump into. Or not, either way, it doesn't seem to impede you much -- they still wanted to talk to you! Yes, they wanted to talk to me... in this fictional story! Usually I spend most of my time at the punch bowl, ogling 57 year old women. Just kidding, Happy Fourth, Jean!